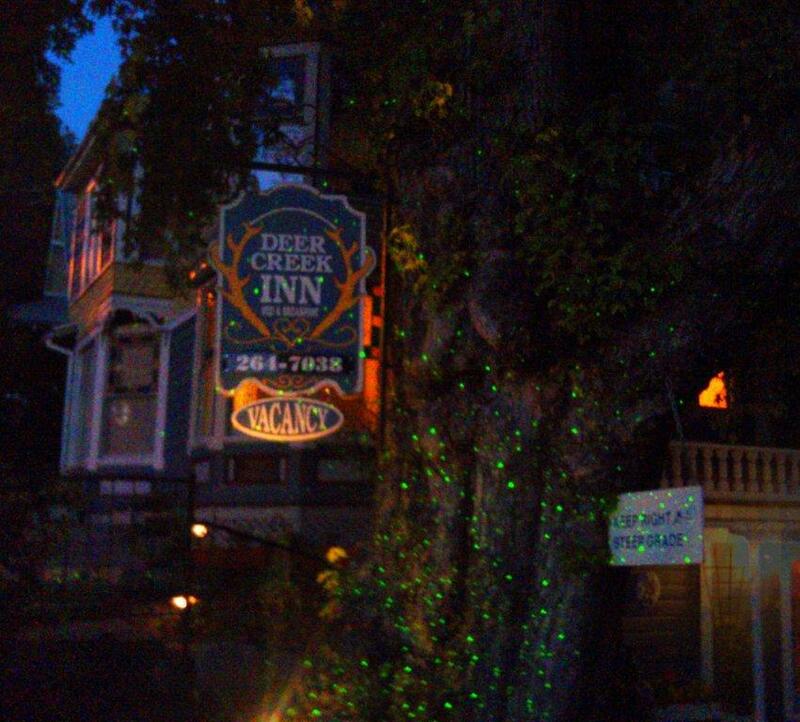 Here are some photos of the Deer Creek Inn with the newly installed "Spright" BlissLights Landscape Laser Starfield Projectors here in our home town of Nevada City. Photos can only show a few of the thousands of pin point laser beams that the eye can see, but you can get the impression until you get your own display. This is just one of the many local businesses as well as homes decorating with this popular new landscape decoration. 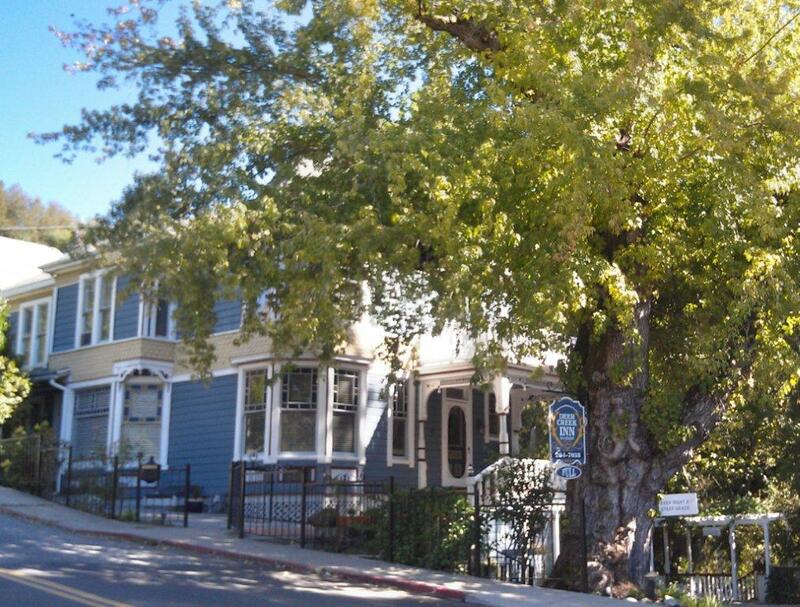 Nevada City prides itself in going all out with Halloween decorations so the Deer Creek Inn is starting things off with a bang with this explosion of starbeams. You can see this display at the bottom of Nevada Street where it meets Broad/Boulder Streets at the bridge, across from the public parking lot. This impressive display is using two projectors consuming only 3 watts each of electricity. The light sensing transformer automatically turns them on at dusk for 8 hours or as long as desired. 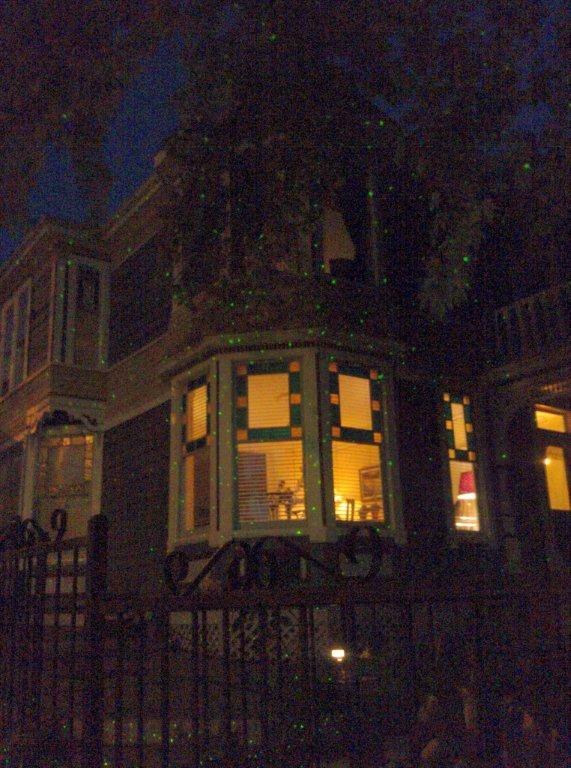 Newer Lasers and Lights will be shining at the Burning Man Project... DECOMPRESSION 2011 Heat the Street FaIRE! Lasers and Lights will be shining at the Burning Man Project... DECOMPRESSION 2011 Heat the Street FaIRE!